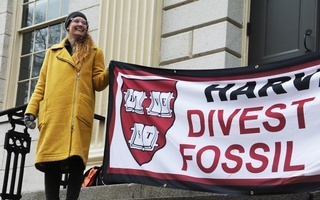 Harvard Presidents Have Long Opposed Fossil Fuel Divestment. Bacow Offers A New Reason Why. University President Lawrence S. Bacow speaks at the press conference announcing his selection. Harvard presidents have long maintained that the University’s endowment is not an appropriate tool for enacting social change. It’s a line former University President Drew G. Faust used repeatedly to justify not divesting from fossil fuel companies when campus activists demanded she do just that. 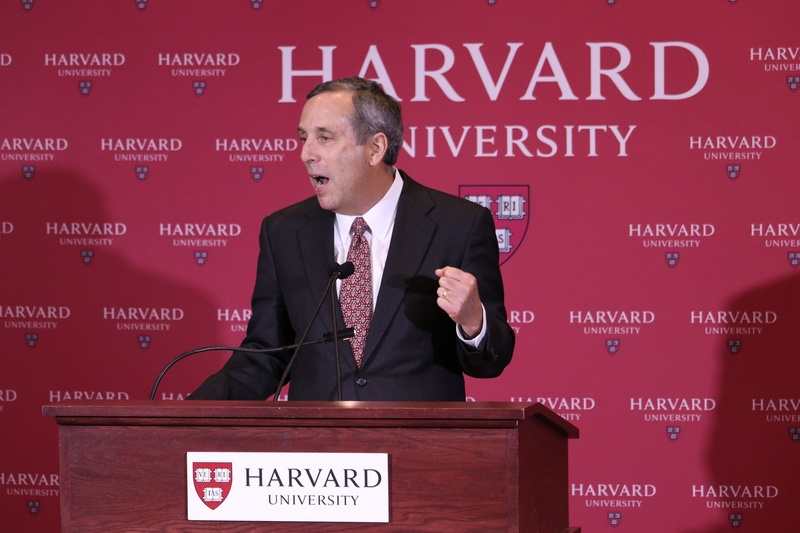 In an interview last week, University President Lawrence S. Bacow broke from his predecessor to offer up a new line of argument for sticking to the status quo: not only is divesting to compel change improper, he said, but it is also impractical and ineffective. His remarks came amid renewed demands from students and faculty that the University end its investments in fossil fuels — and in the wake of major federal and United Nations climate reports that sparked discussion around the world about the dire consequences of human-caused climate change. He added that any significant shift in climate policy must come from both scholarship and cooperation with fossil fuel companies. Bacow also noted that, even if the University were willing to divest its $39.2 billion endowment from fossil fuels, “practical issues” would complicate this effort because Harvard invests in the industry indirectly. 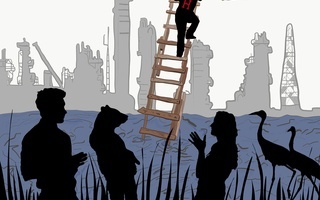 Bacow’s remarks Monday came a day before a group of more than 100 Harvard faculty members released a petition urging Bacow to end the University’s investments in fossil fuels. University spokesperson Melodie Jackson could not be reached for comment Thursday evening. The University divested a portion of its holdings in companies doing business in South Africa in 1986. It pulled its investments from tobacco companies in 1990. 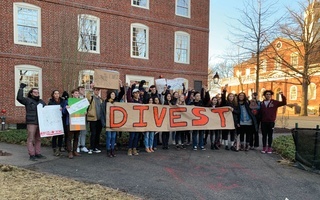 Harvard Undergraduates for Environmental Justice are also circulating a new online petition that urges divestment. The petition had garnered more than 200 signatures as of Thursday evening. Bacow said it would be “hypocritical” for the University to both use the products sold by the fossil industry and divest its holdings from that industry. “It strikes me as hypocritical to say we're willing to work with you, we're willing to do research with you, we're willing to engage with you, we're willing to buy your product, while at the same time saying but we will not consider owning your stock,” Bacow said. Harvard enriches and is enriched by a system that keeps 2.3 million souls in shackles and millions more under surveillance.